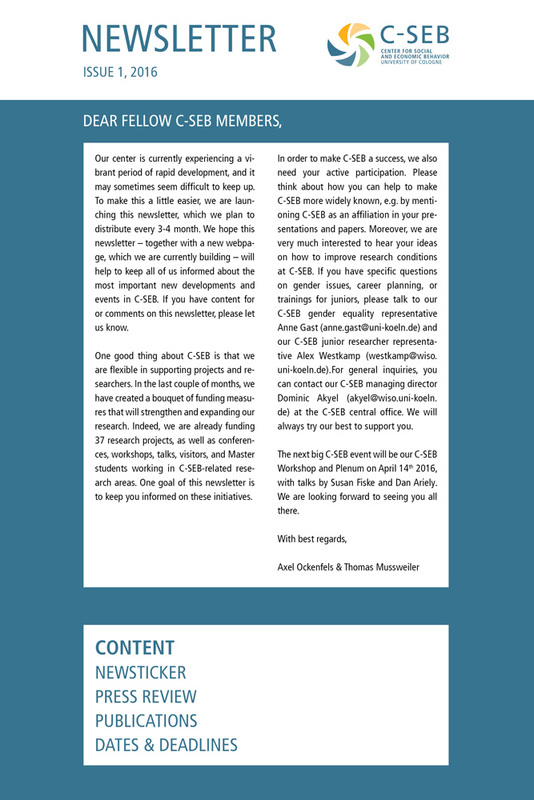 Would you like to get all the exciting news about research at the C-SEB on a regular basis right to your inbox? Then our newsletter is just right for you! Subscribe and you will receive the latest news, selected new publications, and further information 3-4 times a year via email. If you would like to unsubscribe from our newsletter, please send an email to c-seb@uni-koeln.de.